Summary: This flip stop is not accurate or repeatable, purchase not recommended. It only earns 1 star, due fact that you can still use it a little (and forums won’t let me use zero star). Bought the #53648 Rockler Drill Press Fence awhile back, and it came with this flip stop. 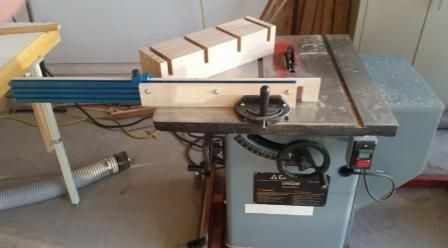 I almost never use the flip stop on drill press and decided to re-purpose it for a table saw miter fence to cut lap joints. 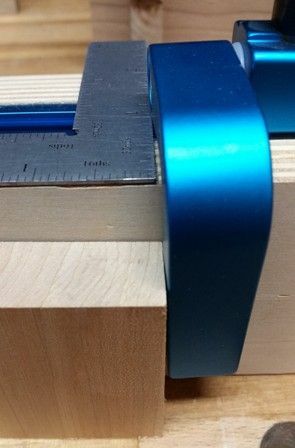 Simple enough, both use Rockler extruded aluminum fences, and use same T-Track dimensions. While this flip stop might appear to be thoughtful design, the execution by mfg is horrible. The flip pivot bolt will not stay tight. It gets lose as you flip, and requires constant tightening. Too tight and it won’t flip anymore. The boss on the bottom of stop block is also too wide for t-track. There is enough side to side motion in every T-Track I checked that it is very hard to lock the stop exactly 90 degrees to t-track and fence. The biggest issue is: as the pivot bolt gets lose, the stop dimension moves. If you look at pictures above, you can see that the stop is not square to fence when as you push board to either side. 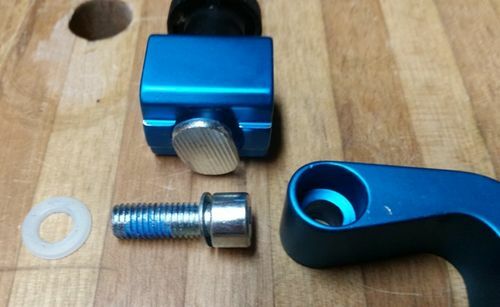 1) The threads for the pivot bolt are anodized. The bolt uses thread lock to keep it fixed, but enable pivot. 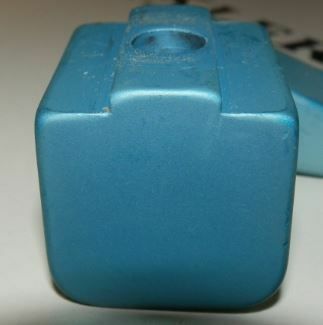 Blue thread lock will not adhere to anodized aluminum. If they had used permanent green version of thread lock, this might work. Best option is to cut threads after anodize. 2) The pivot arm uses a tapered seat for metal washer under the pivot bolt head. Wrong again. All that happens is steel washer digs a groove in to softer alumumin and makes the pivot bolt loose. Flip stop operation can sort of be restored (with very stiff movement) by adding a plastic washer between the arm and metal washer. But without suitable thread lock, the bolt till gets loose after a dozen or so flips. Bottom line: Another Rockler innovation that is useless. 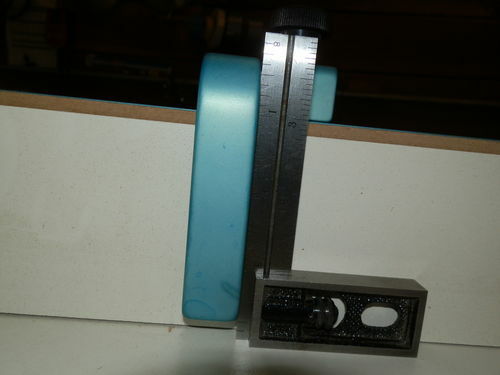 Do not rely on this flip stop for consistent or square stop position in your wood working. 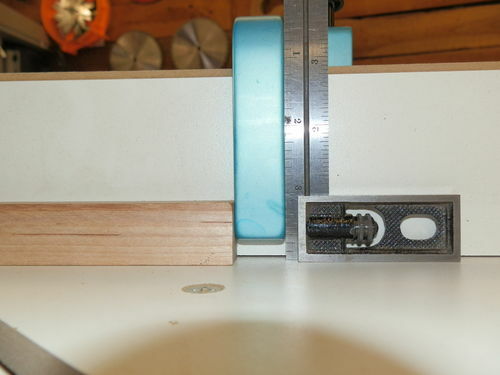 You are better off making one from BB plywood and jig bolt. 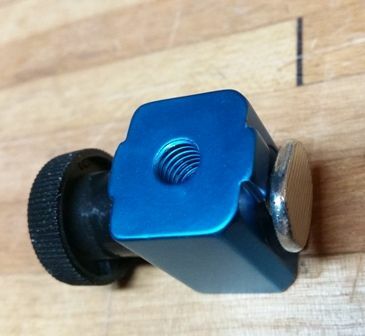 I really hate posting a review this negative on anything, but this junk fence stop created many problems when attempted to use it as advertised, and do not want anyone else to have same issues. The actual flip stop should rotate on a “body” bolt not threads, too sloppy. It should be captured with some retaining clip, to remove the side to side slop. It is not a precision, repeatable designed accessory. Same problem here. 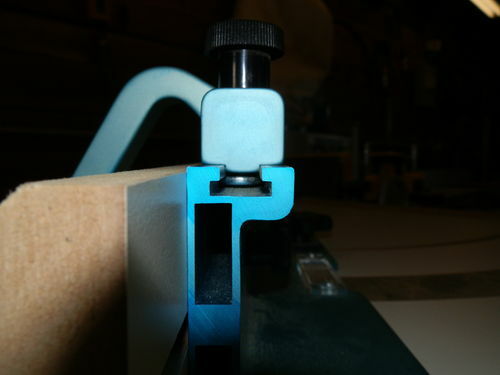 I have this stop on my cross cut sled, and it is barely useable as long as you always put pressure on in one direction. Very sloppy indeed. I don’t use it for any accurate work. 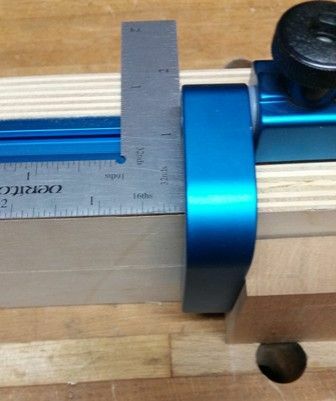 I have the Kreg version of this on my miter saw, and the Incra version on my table saw. 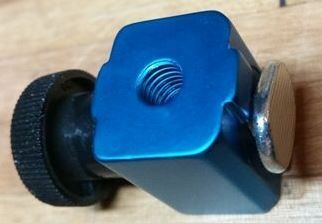 I have been happy with both, and prefer the kreg (quick, easy adjustments, magnified cursor) where it is and the Incra (very fine adjustments possible, very securely locks down) where it is. I got my stop from Rockler 10 or 11 years ago. It has always been solid. This review made me curious. Before doing anything, I flipped it up and down 50 times. One difference that I notice is the shape of the surface that meets the track. This probably does not relate you your problem of the slop in the pivoting area, but it still seems better on my old one. Also, mine seems to have faded. Maybe they improved the anodizing process and broke the functionality! If you want to do something worse than poorly design a product, you should “upgrade” and ruin a working one. To get a tight fitting and accurate boss to slide in the track you have to machine it. Using the extruded aluminum part as is …..is in my humble opinion… inexcusable. As with many extruding and molding operations, there are many process variables that will affect the final geometry. And get this news flash! Variables vary from one day to the next. If you have a dimension critical to the function of the mechanism you machine it…. period. Sloppy execution of what should be a simple and straight forward design. These retail moguls presume a lot when they venture into specifying designs for production. You can’t outsource your details to China. They are more than happy to tell you the spec is good enough and ship you the least compliant part possible. I understand the machining reference.. but when I purchase something the is manufactured to standard tolerances to fit a t-track, it should fit the t-track sufficiently to work correctly, otherwise, I will return it. If it comes like a piece for handgun and final fitting is required, then it should say so and be priced accordingly. I think my Kreg stops have it beat. I have two of these, and I don’t measure from the top of the fence, I always measure from the table side. I’ve had no problems. i have two, one on each side of my saw and have not had any issues so far,the are both solid with no slop.i bought about 2 years ago.